My mother came to visit us for a few weeks. She liked to go to church on the weekend. My brother and I took turns taking her. Last Sunday, as I sat beside my mother listening to the Homily, I noticed some donation envelopes at the end of the pew. Without really thinking, I picked up one of them. I opened my bag, brought out my checkbook and started to write a check paid to the Church. I had gone as far as sealing the envelope when I remembered something in the news while I was getting ready that morning. I had listened to Rachel Martin on NPR’s Sunday Weekend Edition interview a nun, Sister Maxyne Schneider of the Sisters of St. Joseph in Springfield, Massachusetts. Sister Schneider is the current president of her congregation. She has been a nun for about 50 years, having taken her vows as a teenager. She is now responsible for over 200 nuns. Unfortunately, their congregation is on the brink of financial collapse. Many of the nuns are like her, well on in their years, with all the travails of aging. I looked around and observed few people sitting on the pews of this rather modern semi-circular church. I could not help but wonder if perhaps many people are away for the summer or, could this be the current sad state of affairs with the dwindling Catholic membership everywhere. We were in Europe last month with my hubby’s sisters. We joined some walking tours in Prague and parts of Germany (Regensburg, Nuremberg, Passau to name a few). All these cities where Catholicism was pretty much the way of life of just about every citizen for several centuries leading to the second world war, were dotted with the most elaborate and beautifully built churches. Prague alone boasted of about 200 churches. Sadly, most of these places are seeing a rapidly dwindling attendance and membership. The Czech Republic is said to only have a 10% active membership these days. The others were not much better. I noticed the musical director quietly preparing his music sheets, He looked sideways to the other musicians and gave them an almost imperceptible nod to prepare for the next song. I watched the priest celebrating the mass, not really paying attention to what he was saying. At the back, the ushers were making their way to prepare for the Offertory. It was going to be handed by a family of five in bright summer garb. I could not help but wonder, with all the collections of the various Catholic churches around the world, surely, this institution could have some kind of fund for the health care of its religious nuns and priests. Aging is as inevitable as the changing seasons, taxes, and gray hair. I could not help but wonder if certain groups of American Nuns who have been vocal about their disagreements with recent ridiculous Vatican edicts have fallen out of favor and therefore are now deprived of access to the Vatican’s coffers. Or, is it because nuns are women and they don’t get equal treatment in the eyes of the Catholic church? I resolved to do my own research when I get a chance. My thoughts turned to the current climate on Universal Health Care in the United States. I wonder if I will see this finally come to fruition in my lifetime. There are certainly enough political, religious, and self-interest groups with deep pockets who are doing everything to dismantle Obamacare in its infant state. If the Catholic church does not have the right sense nor the compassion to provide for its religious members, then, the government should step in and provide it for them. Technically, the nuns don’t really have an income. Their work is not paid. They receive a stipend. So, how does this work with Medicare then? We are still set up in this country with the notion that Health Care is an earned right, not a human right. I noticed an usher coming our way to collect our donations. I hastily folded my envelope and stuffed it in my bag. I know better where to put my money. I may be one small voice but I can certainly show my opinion with my wallet. I resolved to look up the address of Sister Schneider’s congregation when I got home. To all my friends at WordPress: My apologies for my absence. I will catch up with you all somehow. This entry was posted in American Nuns, Catholic Church, Health Care, Religion, Religous Congregation and tagged American Nuns, Catholic Church, Catholicism, Nun, postaweek 2013, Rachel Martin, Religion, Religious Freedome, Sister Maxyne Schneider, Sisters of St. Joseph. Bookmark the permalink. I know! I am Catholic too and it definitely seems like the number of Catholics is dwindling. Many Catholic schools in my city have had to shut down and combine with other schools. I have to admit, it was a hard decision for me on whether to go back to the church after my heathen twenties. I was raised Catholic and once I grew up and got married, I knew I wanted my children to experience the same education and upbringing that I did. I contribute so much of my moral fiber today, and my care and concern for others, as stemming from my Catholic education and upbringing. Unfortunately, I don’t agree with everything Catholicism stands for and I wish the church would become more tolerant. I have remained Catholic and my family and I go to church on Sundays, but I wish I cold stand 100% behind everything. The Catholic church is a wonderful avenue for social justice in many communities (every weekend people in my city walk the known areas for homeless populations and hand out sandwiches to people, plus so many other things –all unrecognized, all wonderful). But why the rigid stance on birth control and women’s control over their own reproduction? Why the harsh stance on gays and lesbians? Why not change with the times? Ugh –this is so long, but I love so many things about my faith and am sad about so many others. Ahh, Erin. We are in the same boat. Raised a Catholic. Cant’ seem to shake off the Catholic no matter how much we try, if we would dare to. The Catholicism I was raised in was quite prolific in such punitive pronouncements as, “Repent or you will go to hell,” or something like that. My hubby and I raised our daughter Catholic. We went to church. She played the flute on most Sunday masses at 0930H and during holidays. But once she was in College, we left it to her to decide whether she wanted to be a practicing one. We also told her, either way, we love her and it does not change anything as far as we are concerned. It’s her choice. And yes, it is a choice. 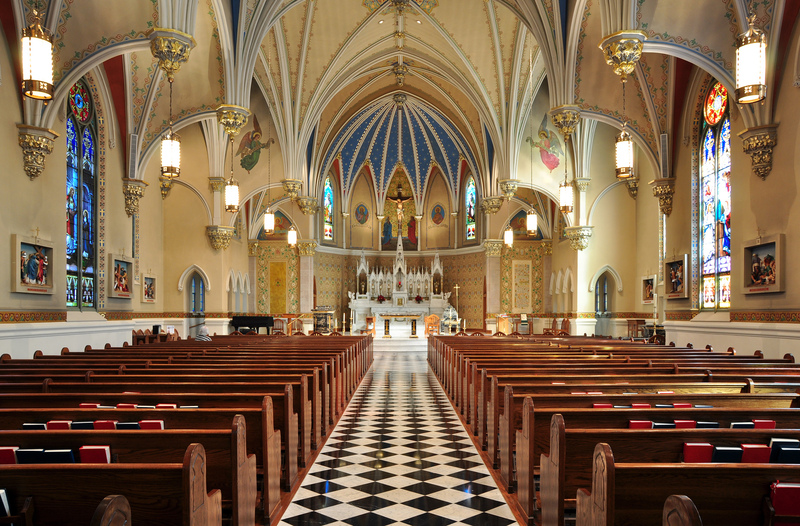 I have ranted about the Catholic Church as an institution in many of my past posts. But I have also celebrated its gifts to humanity. We are kindred spirits here. it’s always a good feeling when you find a place that you can donate to that does good work. i don’t have much, but try to support Demand Progress, EFF, the ACLU. my $25 a month won’t make much difference but i guess it feels good to put my money where my mouth is. Hi, Ajay. Thanks for dropping by. I’m so honored. I was very interested in this post, dear Mary-Ann. It seems the average age for women in religious communities is now well over sixty. So there is hardly anyone left to support the elderly. I think the church has similar problems in attracting young men who want to become priests. It is a sad state of affairs when priests and nuns depend on public donations in their old age after having served the communities over a lifetime. Yes, it is a sad state of affairs indeed. The Vatican will not support them financially but they want to dictate what the nuns do. It’s all so dysfunctional. I’m sorry to hear about the low participation in Europe. Church in Vancouver is very alive and active. Good for you, what an appaling situation.